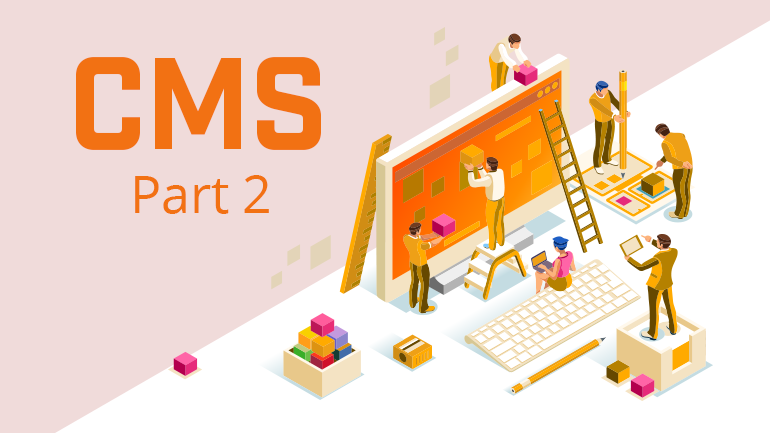 In Part 1 we covered some of the base features we think a good CMS should include, starting from the bottom and working up. We also covered the user experience features that will make your website much more appealing to your customers. To return to part 1 Click here. If you are a location-based business, “near me” searches can be a key driver of traffic and revenue. Give your business increased exposure by integrating dynamic local event feeds that show events happening within specific distance of your business on your website. When those events are also wrapped with Schemas, it gives search engines powerful information that is very useful to consumers – so the next time someone is searching for a concert or a sporting even near you, your business will be top-of-mind as well. 97% of consumers rely on reviews before making a purchase decision. Your CMS should give you the power to integrate reviews from specific third-party sites like Yelp or TripAdvisor, while also giving consumers the ability to create reviews on your site. Connect the social world with your website and don’t give consumers a reason to leave your site by integration critical social channels on your website. Make sure consumers can access your social feeds from key sites like Facebook without having to leave your site. Your Content Management System should be flexible enough to allow for custom integrations with critical back-end systems. An auto dealer might need to integrate with systems like Quiter that help manage dealer inventories – to allow for dynamic inventory display on the website. Your CMS should also be extensible with major platforms like Salesforce, and email management systems to allow for management of autoresponders from your email system of choice. With custom integrations, the major goal is simple: Your CMS must be flexible enough to be easy to integrate. Your CMS should be able to integrate with different technology platforms, be it using API’s or through customized integrations. These integrations should allow information to and from in the real time or as needed. A hotel website needs seamless integration with language translation API to serve customers looking for information in local language or more nuanced integrations could be developed where a mix of automation and manual processes are needed to deliver a multi-tenant service. Simultaneously a hotel may need real time integration with booking engine to provide availability, rate and inventory (ARI). Technology integrations are going to remain relevant in CMS and hence create more opportunities for delivering value for the end users. Any CMS should have an easy to use WYSIWYG editor and should allow a team to manage all content – including images, photo galleries and forms through the CMS. Moderation and workflow capabilities, along with multiple permission levels should be key features, especially for larger sites. Equally important are features like multi-tenancy and world-class security and uptime capabilities to provide the always-on availability that your business needs. From a security perspective, ensure your hosted CMS provides high quality firewall, intrusion detection and load balancing to maintain optimal performance and security. Even the best software in the world is of no use if the company behind it can’t support you. Milestone clients consistently see results that outpace industry averages and their competitors. That’s why we have a 97% satisfaction rate. Our track record is also reflected in the 500+ award we have won over the years, including having our CMS short-listed for the US Search awards. Make sure your CMS vendor can be a partner in all your digital marketing needs and that they can provide consulting not just on how your CMS works, but on how to make the most of your investment. How do you choose the right Content Management System for your business? Regardless of your business type or target market, looking beyond the user interface and the obvious features is critical. This white paper has addressed some of the more critical features that you may not be aware of – but that may make a huge difference to your website traffic and to your business. Milestone caters specifically to the needs of location-based businesses. Our Presence Cloud provides a unified, rich set of tools to help you manage your content and ensure your business data is accurately distributed across the entire digital world. It lets you interact with consumers on social channels and review sites, and gives you access to state-of-the-art products for analytics, voice search and keyword research to complete your digital marketing arsenal. Milestone can make creating compelling content and sharing it with the world simple, intuitive and affordable. To learn more, visit us at https://www.milestoneinternet.com or call us at (408) 200-2211.